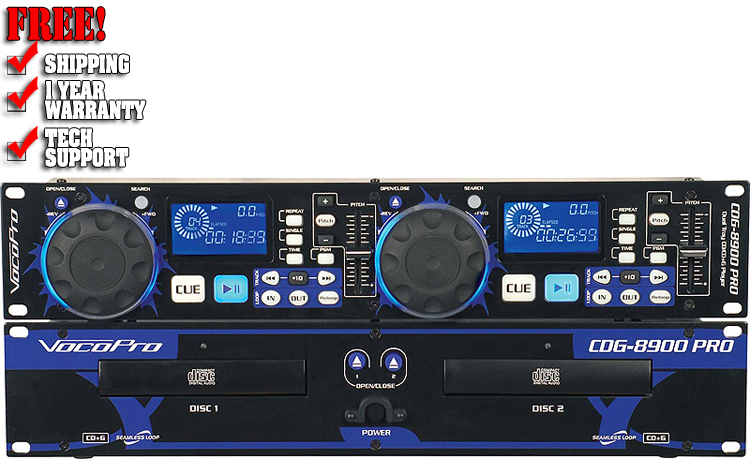 The CDG-8900 PRO features independent dual CD/CD+G players with all the pro features you need for playing music or providing vocals, including a digital shock buffer for true seemless loop, Anti-Scramble, pitch slider, pitch bend jog dial and buttons for BPM matching, and more. All of this is stuffed into a rugged, professional, and space-saving 19" rackmount chassis. It also has an external controller for easier operation.